What is XCoinCall XCoinCall is an online platform through which you can place calls to any service you want by using Bitcoins. We guarantee the lowest rates on the market. Our Current Offers: 1. For the first time payment you make, the first 0.1 BTC or less are tripled. 2. Choose a preferred call destination and get 2 mBTC call credit to that destination. 3. Get 15 % off when calling to your preferred destination for life! Fast and Simple Our interface is really easy to learn and our checkout is rocket-fast. You’ll master it in minutes. Built with Bitcoins in Mind We’ve built our service to work along with the things that make using Bitcoins great: freedom of payment, no hidden charges, privacy protection, transparency, very low fees and fraud protection. Works on these platforms The platforms we currently support are: •	Chrome •	Chrome for Android •	Firefox •	Opera Benefits of using Bitcoin •	Lowest Rates •	Call right from your browser •	Fast Response Times •	Dedicated Support Team •	Ever-Improving Product How to use XCoinCall: 1. Register 2. 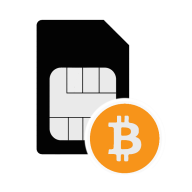 Make a Bitcoin deposit – your account will be credited within minutes 3. Start calling anywhere in the world Company Overview We are a startup company with big dreams and a dedicated team of professionals. We won’t stop until we deliver the most convenient way to make long distance calls. As a Company, we firmly believe that the Internet is a major asset for all of us. It doesn’t matter if you’re a teacher, a YouTube personality or a major corporation; everyone benefits from the Web. We are very aware that the Internet is constantly under threat by some parties that are trying to gain profit through some unseemly manners. We kept in mind the best interest of Internet users worldwide from day one and we will never change this perspective. Be the first to write a review and let others know if XCoinCall is a scam or if it is legit.